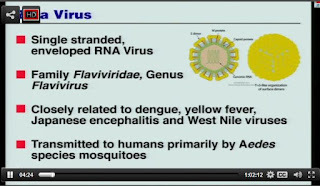 Yesterday morning Dr. Anthony Fauci, head of the NIH's NIAID, held an hour long webinar providing us with arguably the most concise and up-to-date assessment of the Zika Virus, Microcephaly, and GBS you'll find anywhere today. The webcast, called Zika Virus: A Pandemic in Progress is archived, and may be viewed online (or downloaded) at any time. Description: Dr. Fauci will discuss the history of Zika virus, the current pandemic, and the biomedical research response, including diagnostic, therapeutics and vaccine development.